So thankful for this. Despite my sin, failures, control-struggle, and my own flesh, nothing can separate me from God because His love doesn’t depend on me! Thank You, God, for Jesus’ perfect work on the cross. This entry was posted in Journaling. 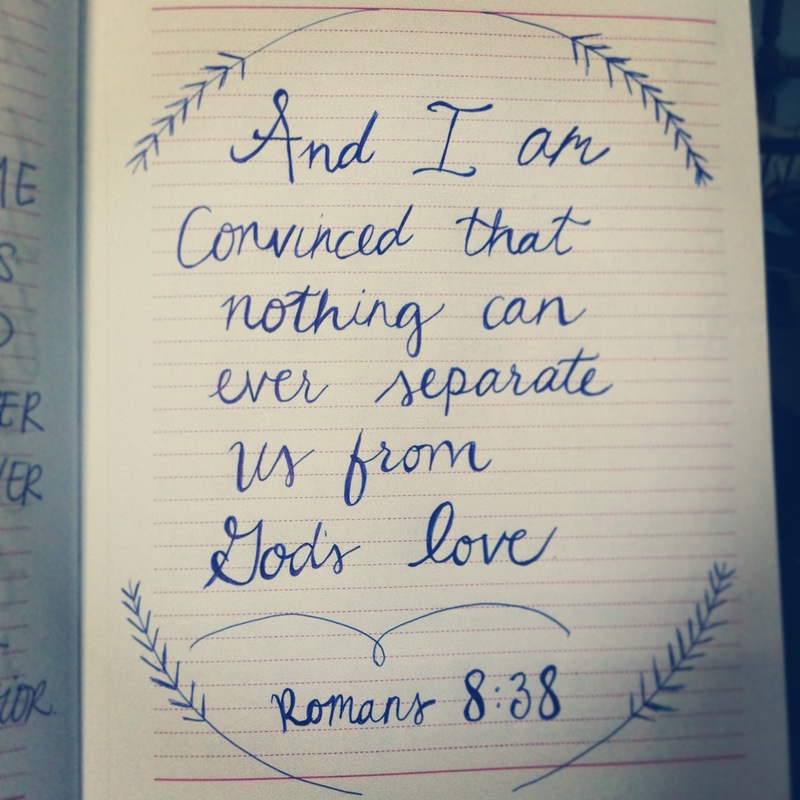 Tagged christianity, faith, God's love, Gospel, Jesus, journaling, nothing can separate us, Romans.